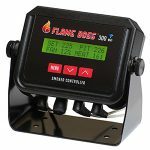 We think that the Flame Boss 300 is probably the best premium automatic temperature controller you can buy right now. With the new Flame Boss 400 there has been a slightly different approach taken. It’s around $100 cheaper and is missing any kind of screen at all, with the control system being incorporated into the fan unit itself. In our review we’ll take you through everything you need to know about the new Flame Boss 400 and let you know if we think it’s worth picking this up rather than the very well established 300. Flame Boss kindly provided a FB400 with additional battery pack in return for my honest review. All thoughts and opinions herein are my own and are not influenced by the related company in any way. 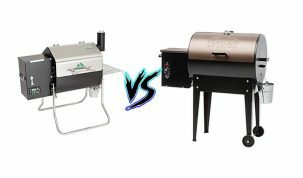 1 Flame Boss 400 Review – Is it better than the 300? 1.5 How Well does the Flame Boss 400 Work? The adapters will differ depending on which version you buy. 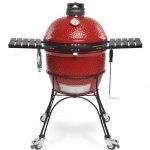 If you have a Kamado of any sort, then the Kamado Smoker Controller will be the one for you. 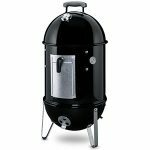 If you have any other type of smoker, like a Weber Smokey Mountain, then get the Universal Smoker Controller. The main feature that this model has over the previous models is that the control, thermometers and wifi systems are incorporated into the blower unit. This seems like a fairly obvious next step from having separate systems to help make the design feel much more efficient and lightweight. It does introduce a slight problem in that if the blower or controller stops working, the entire system will need to be replaced. Included with every wifi Flame Boss controller is the ability to view graphs of your cooks on an online dashboard. 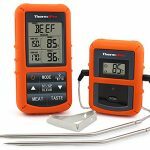 You can monitor pit and food temperature and change the temperature of your pit from your phone, tablet or computer. There’s also a feature that allows you to set the meat alarm to automatically turn down the pit temperature when your desired meat temperature is reached to keep food warm. All of this is available to any device that has a web browser. Accessing it through a web browser is brilliant as it allows you to access your data from virtually any modern smart device. You also have the ability to share your cooks with tips and notes, and even get the raw data if you wish. If you prefer apps, then there are iPhone and Android apps available. There’s even Amazon Alexa and Google Home voice control support. Flame Boss use patented technology and their blower that is capable of variable speeds to keep very precise temperatures. Better than any other controllers I can think of. 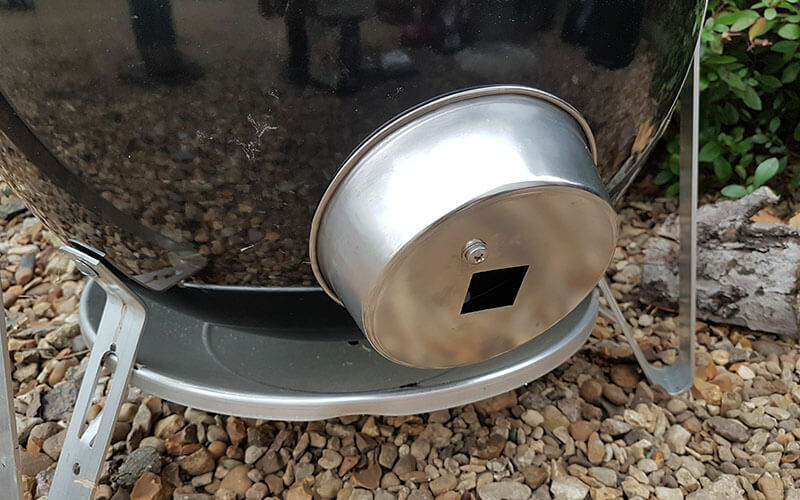 There’s an open lid feature that detects the sudden temperature drop from opening the lid and turns the fan off temporarily to avoid over-stoking the fire. 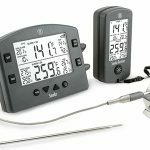 This is a great feature that is unfortunately missing on cheaper temperature controller models such as the BBQ Gurus PartyQ, but Flame Boss have you covered on this with their entire range. With the Flame Boss 400 you will even receive notifications when this happens, a very cool little feature. 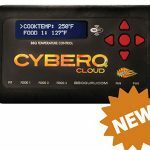 There is also a vast array of alarms and notifications to keep your cook as simple as possible. 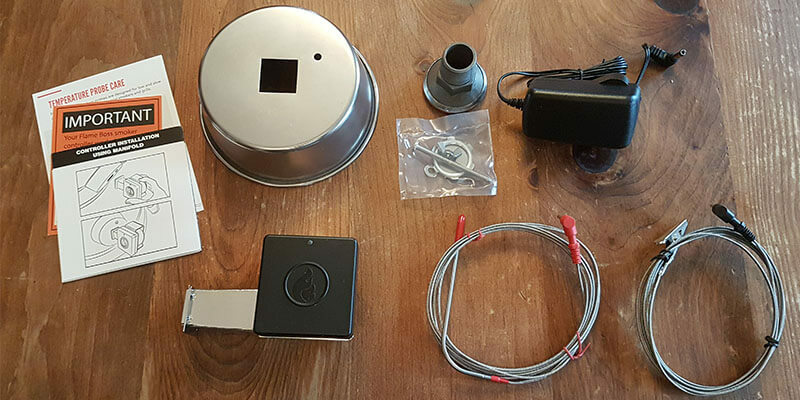 There are timer alarms, meat temperature alarms and pit temperature alarms that can all send alerts or text messages to your smartphone when needed. The Flame Boss 400’s main design feature is the control and wifi system being incorporated directly into the blower. 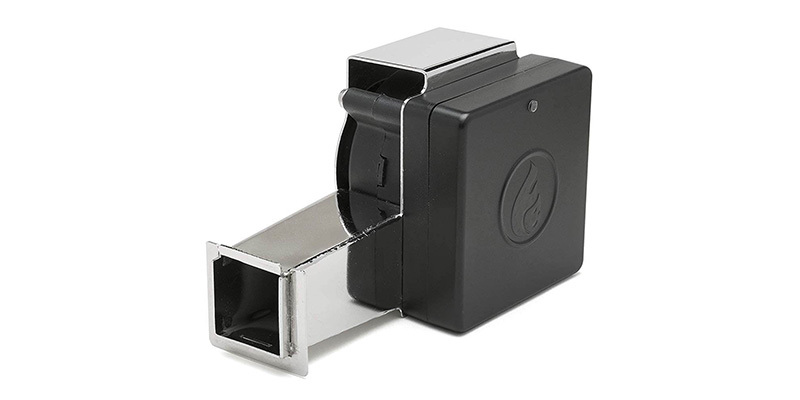 The blower is very similar to the Flame Boss 300 and has variable speeds which work very well. 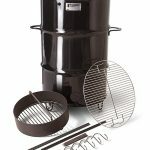 The adapter for the Universal model is very versatile and for us using the Weber Smokey Mountain was super simple to install. 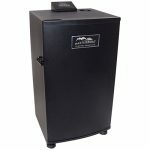 We’ve heard that the installation process can be a little more tricky with other smokers but with the WSM you’ll have it all set up in minutes. I’ll also talk a bit about the design of this app in this part. Generally, it’s very sleek and simple to use and understand. Once you have it connected to the blower and the blower connected to your wifi you’re able to access your cook on all devices. Each version of the cook screen is very simple and easy to use. The build of the product is just as you’d expect. It’s not outstanding but it is still very good. The blower and controller are mostly made from plastic and feel very light. The Universal adapter is strong, sturdy and exactly what you need. When using the controller for the first time, we encountered a slight problem. The app wouldn’t let us sign into our wifi through the Flame Boss controller when using an Android device. This was fixed by using an iPhone. We’d like to see an improvement in the instructions as well as they can be a bit vague and troubleshooting problems isn’t that easy. However, after the initial connection with the iPhone we were then able to use any device to view and adjust cooks. This is where I think all the Flame Boss devices, this one included, really shine. Their ease of use. 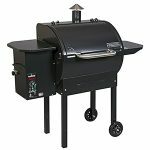 Once it was set up, it was simply a matter of attaching the blower to our Weber Smokey Mountain, plugging it into the battery pack, adding the thermometers and we were ready to go. 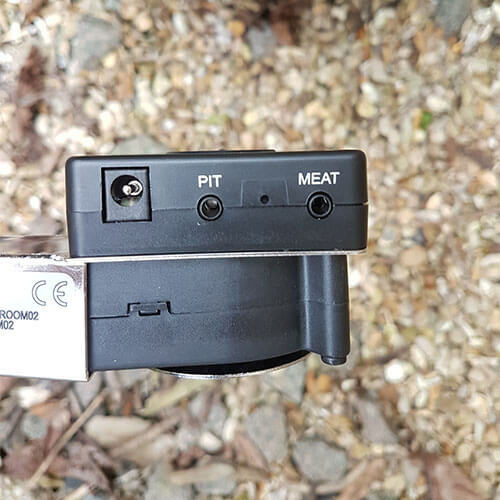 This process was very simple for the Weber Smokey Mountain, you simply hold the adapter to one of the lower air vents, place in a single screw and tighten it up. The blower then simply slides into the square opening. We were aiming to keep the cook at around 225°F and this was as simple and typing in this number into the app. How Well does the Flame Boss 400 Work? All the fancy features and ease of use of the Flame Boss mean nothing if it can’t maintain a steady temperature. With our first cook we were very impressed. We did this on a cold winter’s day with more wind that we care to admit. However, it managed to keep the pit temperature within 18°F at any time (apart from a quick check on the coals towards the end). Quite an impressive feat, considering the conditions. This was also all tracked flawlessly, and we were even notified at certain points with messages to my phone. All around it performed very well and we were very impressed. 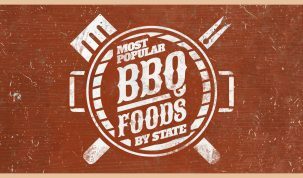 We’re both still amazed whenever we’re away from the smoker, open our phones and can see and control whatever is going on in the grill. This is something that I don’t think will ever get old. 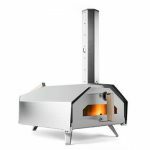 The Flame Boss 400 is a brilliant piece of technology. 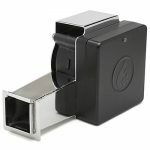 It compacts the controller and fan into one unit to simplifies and streamlines the whole process. The blower performs very well and when paired with the battery pack it gives you a very portable and versatile system that can work anywhere (as long as you have wifi). For the most part, the app is just as good. The slight troubles with connecting can (and I’m sure will) be ironed out. 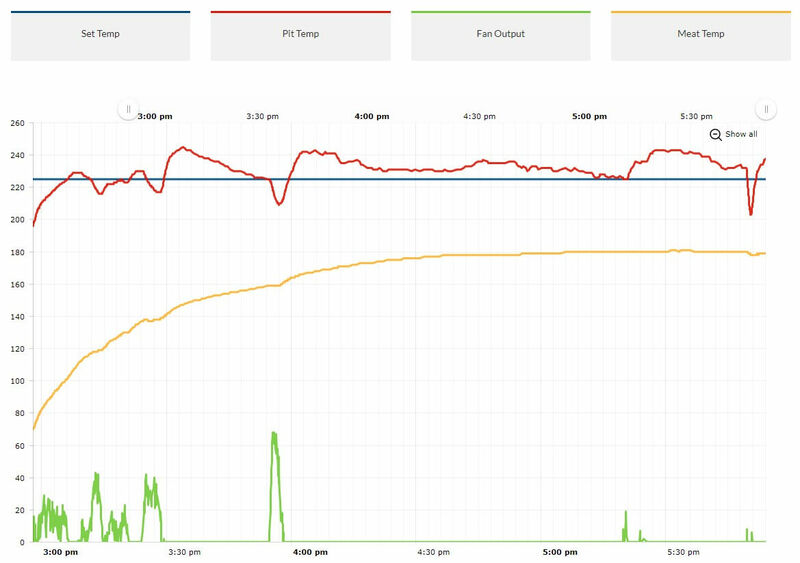 The graphing, notifications and controlling of the cook is done almost perfectly. 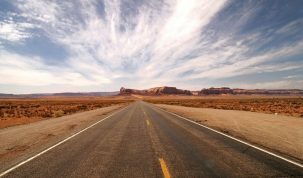 We’re really looking forward to seeing what Flame Boss do next and how they can refine their software further to reduce potential problems and add in more excellent user experiences.